Get £100 cashback on your card when you take out a payment plan at FairSquare with our exclusive voucher code discount! To copy your code, you must first click on ´Get Code´ button located on the right side of the screen. Visit FairSquare.com, and browse through thousands of new and used cars. Click on ´Browse Cars´ and set your credit and car options. If the car you´re looking for isn´t displayed on the website, you can call someone from the team or leave a call back request. Or better yet, try adjusting your preferences to see more choices. Once you´ve found the car you like, click ´Next´ to create an account to generate your example lender quotes for you to compare. This is a ´soft search´ so it won´t have any negative effect on your credit score. Fill in your personal information and click on the button that says ´Retrieve my example lender quote´. Choose the option that best suits you and your needs. You´ll need to share your ID and make a small deposit (£200 is a minimum deposit required, but keep in mind that most lenders will require more). Use the TroopScout discount code to get £100 cashback on the card you pay with. 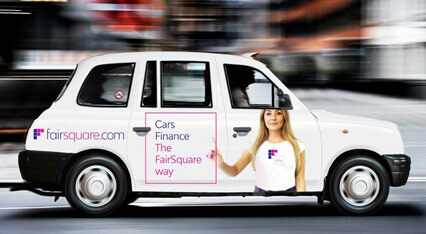 FairSquare is the first fully independent platform for buying and financing a new or used car in the UK. The company was founded by a group of enthusiasts who wanted to create a much simpler method of car buying. With FairSquare, cars and finance are finally all in one place, and great discounts are already negotiated on your behalf.